Ousted former Ukrainian President Viktor Yanukovych said he believed that representatives of the current Ukrainian authorities were to blame for the civilian deaths during the 2013-2014 Maidan protests in Kiev. MOSCOW (Sputnik) – In 2013, Kiev's main square, Maidan, witnessed pro-European protests sparked by Yanukovych's rejection of the EU-Ukraine Association Agreement. Later, the square became the focus of confrontations between the protesters and security forces. Before the protests ended in early 2014, in what Yanukovych describes as a coup, dozens of people were killed during the Maidan protests. The current Ukrainian authorities blame Yanukovych and the Berkut special forces for the deaths on Maidan. "I firmly believe that some of the current high-ranking Ukrainian officials, who have tried to cover their tracks carefully, were behind the [Maidan] killings. But if the situation changes, and the country finally starts an objective investigation, there is still time to find and prove the guilt of the perpetrators. And I'm very interested in this," Yanukovych said in an interview with RIA Novosti. The ousted Ukrainian leader refutes claims that the Berkut special police forces were behind the sniper shootings of protesters on Maidan. "The Berkut troops are being used as the fall guys, as it is convenient to blame them for the crimes of others," he said. According to the former president, Secretary of the National Security and Defense Council of Ukraine Oleksandr Turchynov, Deputy Speaker of the Ukrainian Parliament Andriy Parubiy and the head of the parliamentary committee on national security, Serhii Pashynskyi, were behind the Maidan shootings. 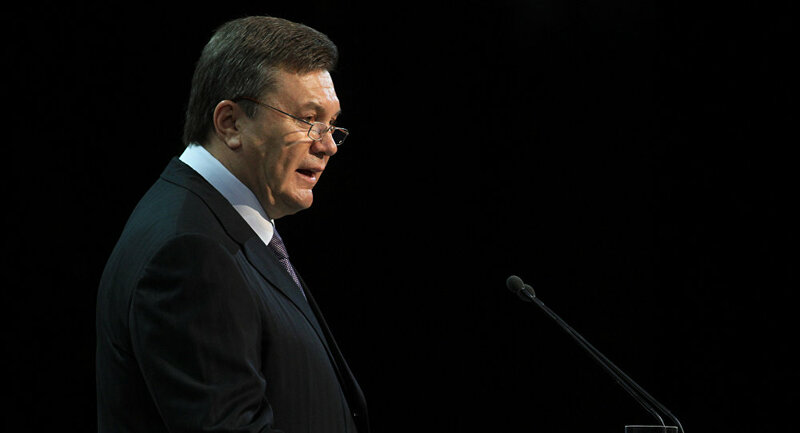 Following the Maidan protests, Yanukovych was ousted in February 2014 by the Ukrainian parliament, when he fled Ukraine for Russia in fear for his life. In May, a special group was created by the Council of Europe (CoE) to investigate the tragic events at Kiev's Maidan, as well as atrocities in Ukraine's southern port city of Odesa in the run-up and soon after the regime change. Earlier this year, the Ukrainian authorities also accused Yanukovych of embezzling public funds, following which he was placed on Interpol's wanted list. He was later removed from the list as the evidence presented by the Ukrainian security services was deemed to be unsound, according to Interpol. On Tuesday, Yanukovych said he would like to return to politics and is in contact with current Ukrainian political figures.